Georgia was the best host. She picked us up at the airport and gave us all the information necessary about the island. The restaurant she suggested was the best. Pansion Pandora was a short walk to the beginning of the main street Papadiamantis and a two-minute walking distance to bus stop nr. 3. The room was cleaned every day, the AC was working well, the balcony and bathroom were spacious. The host was extremely kind, she took us from the port with her car and helped us with our luggage. The room was small but cozy, and everything you would need was in place. Every day the bed sheets was changed and the room cleaned. When the host found out that we would need a toaster for our breakfast she gave us one immediately. 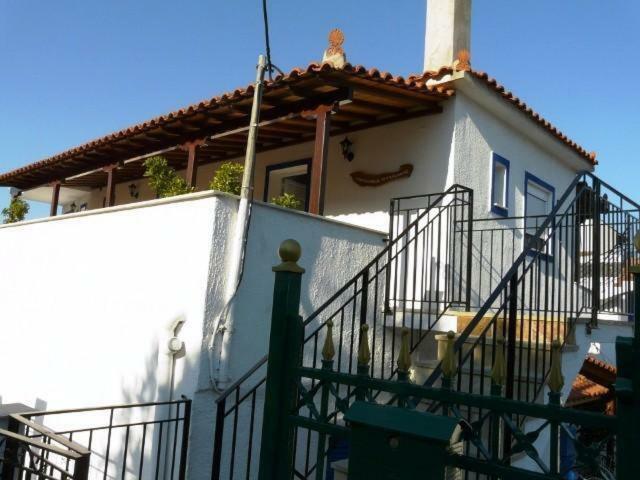 The position of the house is 5 minutes walking distance by the main attractions. The host was very accommodating, picked us up from the port and was available to help with any questions we had. She was also flexible with our check out time and let us store our bags for a few hours after checkout. We had a wonderful stay! The room was very clean and they made the bed and changed our towels every day. Georgia, the owner, picked us up at the airport and gave us precious advise to discover the island. Georgia was a very welcoming host. 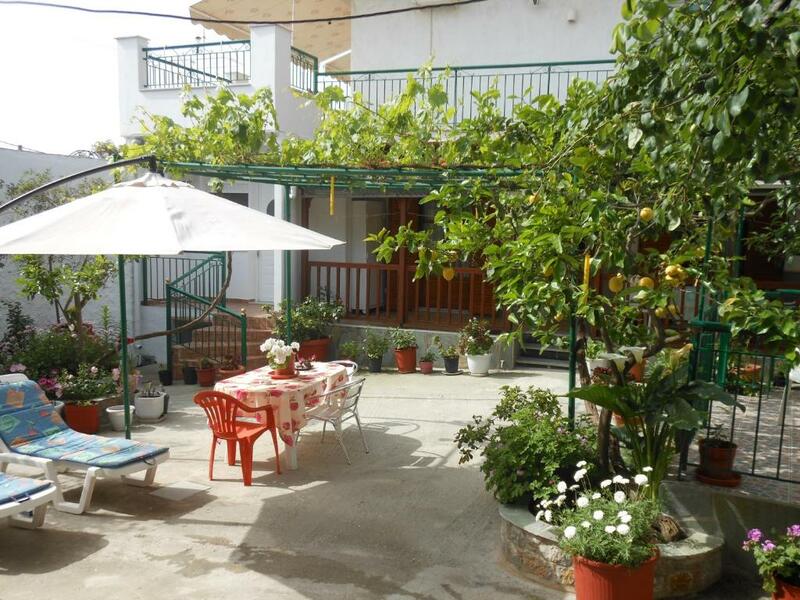 The property was very clean and the facilities fantastic. Can highly recommend. Georgia is a great host. She picked us up from the airport. The property is just 10 min walking to the center and 5 min to the bus stop. Room was cleaned on a daily basis.Thank you for the lovely stay!! Georgia and her family made our stay in Skiathos such a pleasure. We were picked up from the port, and dropped off for our departure. Georgia arranged scooters for us to hire and gave us all the information and secrets to make our time on the island very memorable! Thanks so much! Georgia picked me up at the airport, this was great. So I did not have to organize taxi. She also took me on my way back to the airport. She tried to help and assist in all issues/questions. 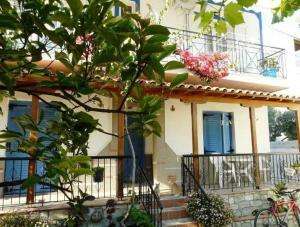 My apartment was a side street to Papadiamanti street which is the main street in Skiathos so everything was near by. The apartment was cleaned on daily basis. There was small kitchen niche, but anyway I was eating mostly out. The host was incredibly welcoming, the room spacious and equipped with everything we needed (kitchenette, fridge, balcony etc.). 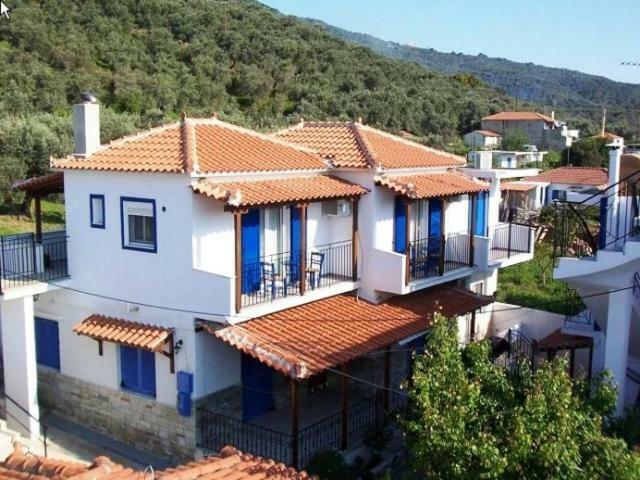 She also offered to pick us up at the airport, which was not necessary in our case, though.The hotel is not directly in the centre of Skiathos Town, but just a footwalk of 10-15 minutes away from the main area with shopping, bars, restaurants etc. In exchange it is very quiet and has a parking lot directly at the location. Highly recommended! Was met at the airport by the property owner who made me most welcome. 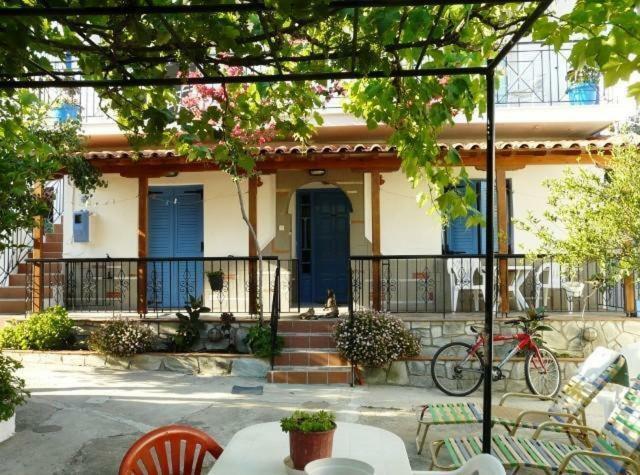 The property is just off the edge of town in a quiet location near an olive grove so very peaceful but at the same time only a five to ten minute stroll down to the town and old port. Standards of the facilities, their maintenance and cleanliness were excellent. 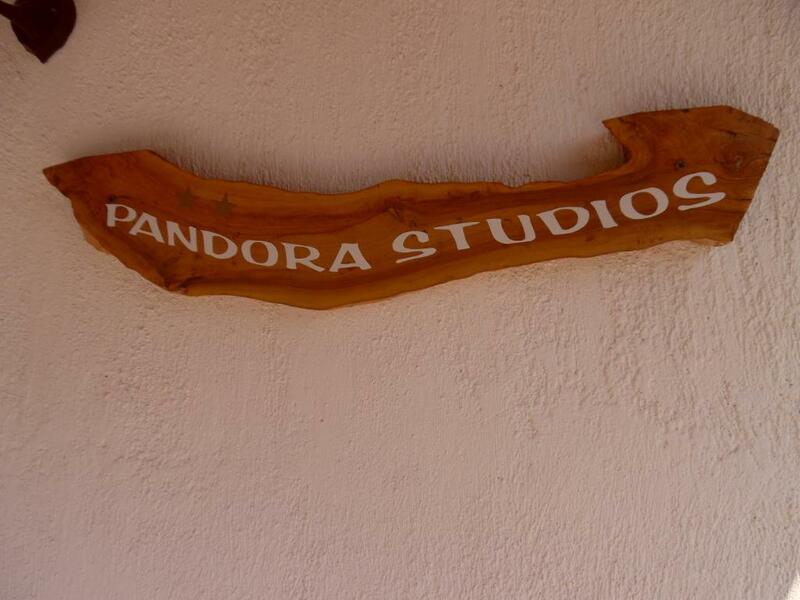 Lock in a great price for Pandora Studios – rated 9.4 by recent guests! Set in the green-covered area of Palaiokastro, Pandora Studios offers self-catering accommodations with mountain-view balcony. 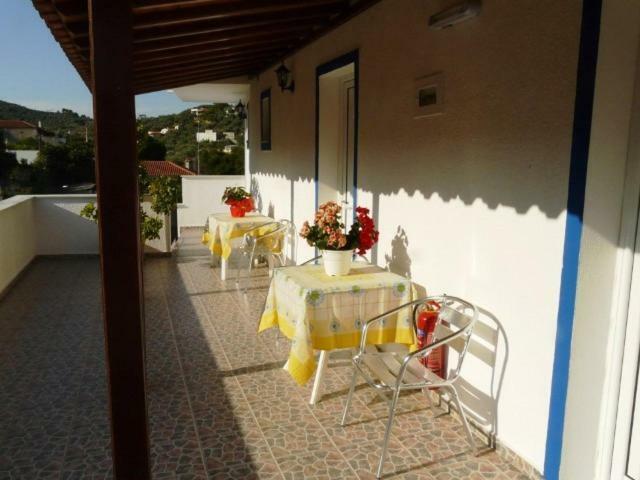 Megali Ammos beach is within walking distance of the premises. All studios are modernly furnished and air conditioned. They have a well-equipped kitchenette with fridge and feature a TV, hairdryer and safe. A private bathroom is standard. The center and harbor of Skiathos town are just a 10-minute walk from the hotel. Within a 3-minute walk, guests of Pandora Studios can also reach a bus stop. Staff can assist with car and bike rental, and free, on-site parking is provided. When would you like to stay at Pandora Studios? This studio has a kitchenette, kitchenware and electric kettle. This apartment has a electric kettle, view and air conditioning. House Rules Pandora Studios takes special requests – add in the next step! Pandora Studios accepts these cards and reserves the right to temporarily hold an amount prior to arrival. The madrass on one of the double beds was a little hard though. The hospitality of the owner was superb. Georgia and her mother were wonderfully welcoming and helpful. The 2-bedroomed apartment was well equipped and comfortable and had good windows with insect screens and shutters, creating good conditions for sleep. Only a few minutes' walk to town centre and to bus stopping all along the coast to Koukounaries, every 20 min day and evening in September. The apartment was like a second hand shop with old mismatched furniture and the beds were quite hard. The location was quite a long walk from the town centre and in quite a scruffy area. Glad we were only booked for 2 nights but wished we had found somewhere else. Delightful owner who collected us from the sea port and took us to the airport upon departure. Rooms were clean with fresh sheets each day. The room was a little bit small. The shower: every time you take a shower it's impossible not to spill the water all over the bathroom because of the small shower curtain (but in every greek bathroom we've visited there was the same problem). The wifi was temperamental but we had mobile phones so wasn't too much of a problem. There is nothing not to like. 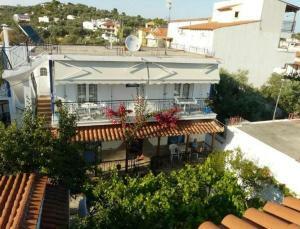 This is the best studio I have stayed in at Skiathos. It is slightly more expensive than some other places in Skiathos but well worth paying a little more for the excellent accommodation and the welcome from the property owner and her family.